If you are looking for a good and inexpensive protein, which is suitable even ideal for use after training - reach for this product. The pure whey protein isolate in a variety of flavors including natural flavor. Great alternative to much more expensive isolates. After intense physical activity is highly desirable to provide a quick protein that the body can smoothly start the process of rebuilding your muscles. In this role perfectly suited to just this product. 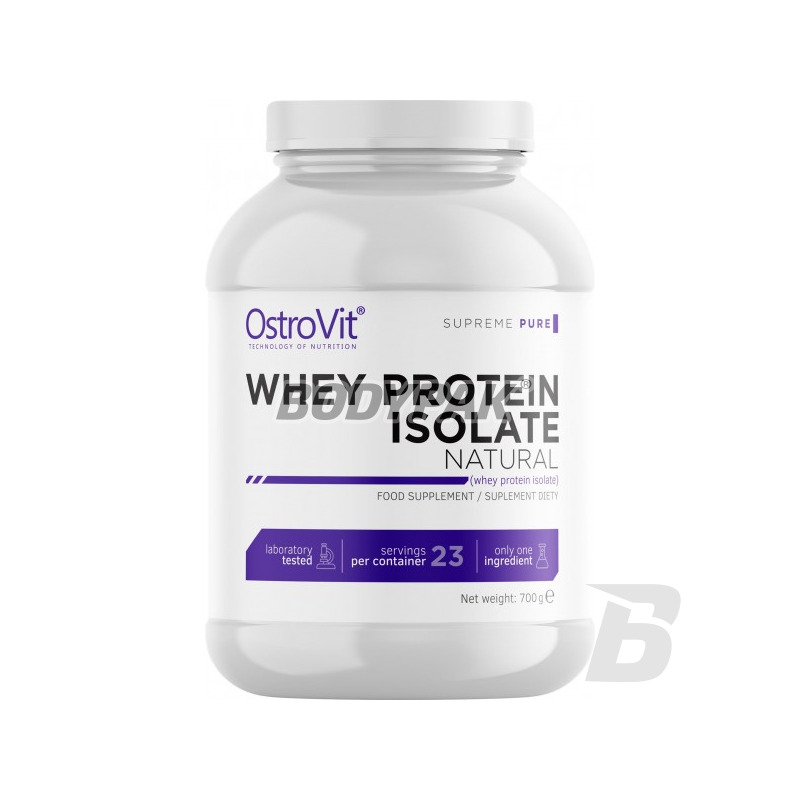 OstroVit WPI 90 comes in different flavors, so you do not have to worry about problems with their right choice. 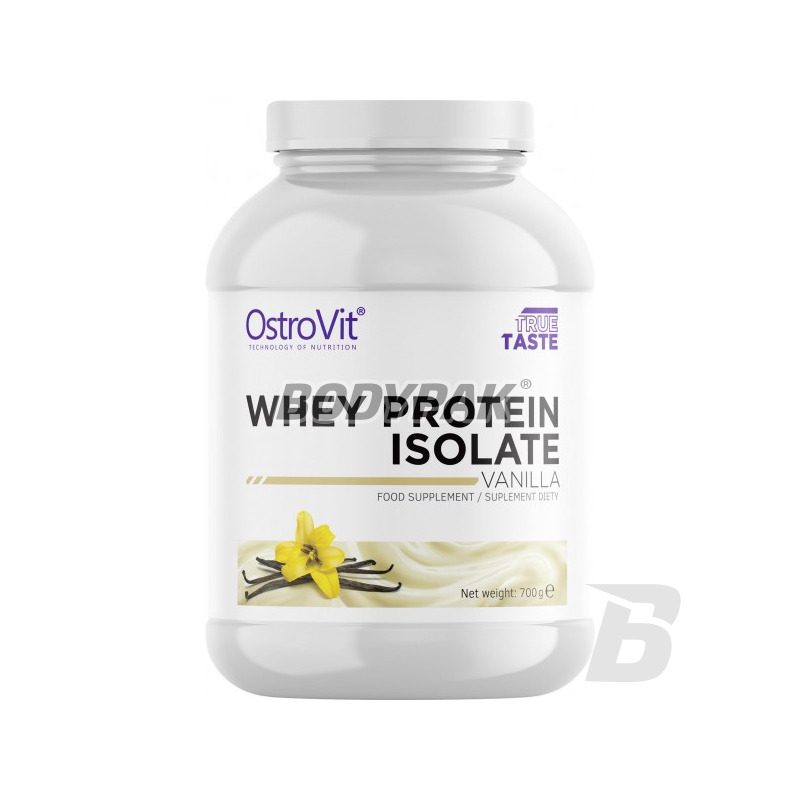 If you are looking for high-quality protein and at the same time not ruin your household budget - reach for the OstroVit Instant WPI 90, and will not be disappointed. 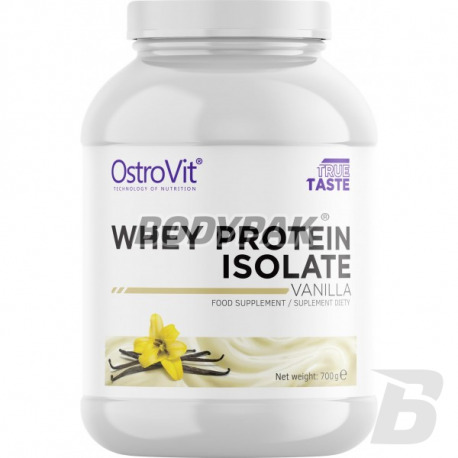 OstroVit 90 WPI Instant is a means for particular nutritional uses which meets the body's need for protein, while intense physical effort, especially sportsmen. Whey protein isolate WPI 90 is particularly recommended for those looking for quick muscle growth and improve the efficiency of the organism. This product has a very low content of lactose and fat. It is ideal as a dietary supplement in protein during periods of reduction. Used immediately after training supports the regeneration processes of muscle cells. Great flavor and perfect texture make that product quality is a leader in its category for the price. Recommended intake: Portions of 30g of the product (1.5 scoops) in a shaker or blender. Use during the day between meals or after training. Składniki (dla wersji smakowej): izolat białka serwatkowego z mleka; kakao (chocolate); aromaty; barwnik [czerwień buraczana (strawberry), karoten (vanilla)]; substancja zagęszczająca (guma ksantanowa); sól; regulatory kwasowości [kwas jabłkowy (strawberry), kwas cytrynowy]; substancja zagęszczająca (guma arabska); substancje słodzące (sukraloza, acesulfam K). Składniki (dla wersji naturalnej): izolat białka serwatkowego z mleka. Super rozpuszczalność, dobre smaki, brak piany po wymieszaniu i przede wszystkim dobra cena jak na izolat - polecam! Smak truskawkowy super, bardzo dobrze się rozpuszcza. Zobaczymy jakie będą efekty, bo dopiero 2 dzień stosowania. Za taką cenę to bardzo dobre białko. Polecam!